We also completed a great brainstorming session. 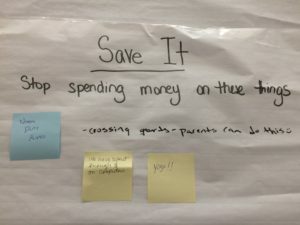 We placed posters around the room with different topics and parents stuck post-its to them with their own ideas. Foreign Language – Foreign language has been a constant item of concern and interest at MTA. 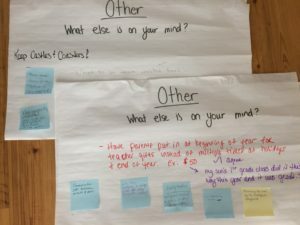 There are many reasons why it will probably not happen at MTA as a regular course during the school day – school is out of classroom space, finding an appropriately certified teacher is difficult/almost impossible, the Rosetta Stone subscription was not renewed by the district etc. Further, the Guild is not allowed to pay the salary for certified staff. 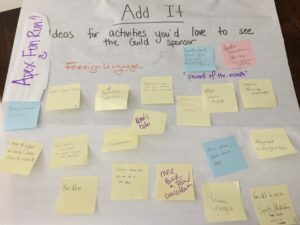 There has been some talk of the Guild sponsoring an afterschool club/class and we’ve been exploring that, as well, but there seems to be some district hurdles with regard to that idea, as well. If you have other ideas, please let us know! Fun Run – We’re having one next year! Our 2017 Fun Run will be held on October 20th at Sunnyslope High School in the evening. Save the date! Community Service – We’re working on this! We’re hoping to have a schoolwide community service project next spring. Stay tuned for details! Mom’s Club – We’re hoping to have a “moms only” event in the spring! More to come on this! We will continue to explore the other items on the list and keep you updated! In the meantime, please comment here, email, etc. if you have additional ideas! Also, if you have info or ideas related to the items above, please let us know! Thank you everyone! Can you believe it’s already that time of year again? 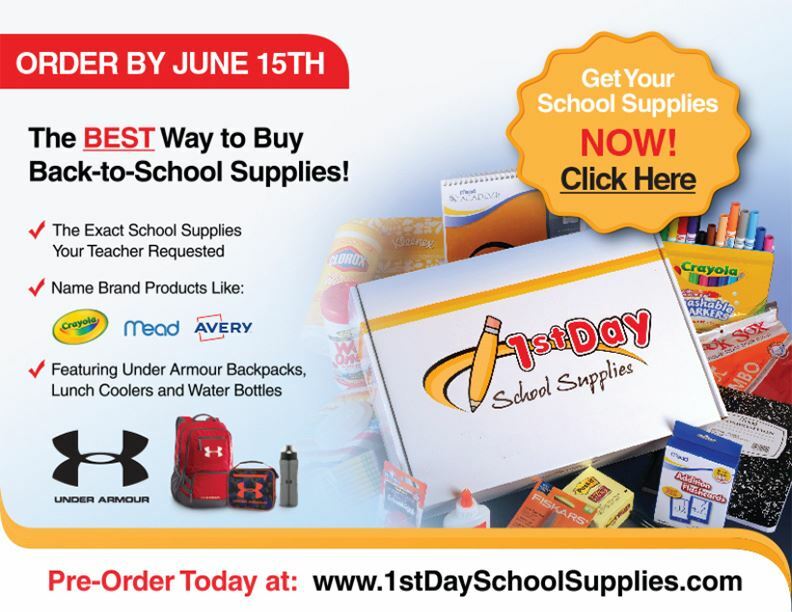 Time to think about next school year’s school supplies! THE DEADLINE TO PURCHASE JUNE 15, 2017! It’s here! 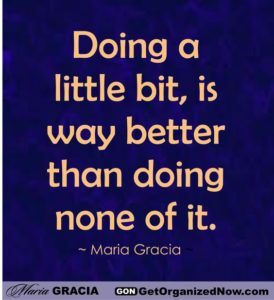 The week where we get to thank our amazing MTA teachers for all the hard work they do helping our kids be some of the top students in Phoenix. Our Teacher Appreciation Committee, led by the amazing Taryn Dyer-Smith, has been hard at work making sure that all the teachers feel appreciated the entire week. However, they need our help for a few extra-special days. Tuesday – May 2 – “Thanks for keeping us sharp!” Have your student bring their teacher a colorful Sharpie marker! Thursday – May 4 – Bring your teacher a card/note – Have your child write a card or note for their teacher. If you have questions, be sure to reach out to your homeroom parent. 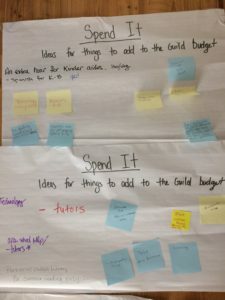 The Guild board is always looking to improve and streamline its processes. With this in mind, we have added this new blog feature to allow us to quickly update the school community in one central location. Stay tuned and follow along for updates and timely information!